Juan Huerta Law is committed to a aggressive representation on your behalf. We have recovered millions of dollars on behalf of our clients. We prepare our cases thoroughly in order to maximize the cases value. If you, your family or someone you love has been injured or killed in an accident, we are available to assist you. If you need legal assistance, don’t wait. Please use the form on this page or contact us by phone today. 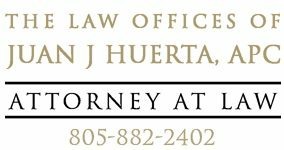 Juan Huerta Law is an advocate for those injured in vehicle accidents as a result of another driver’s recklessness or carelessness. We have experience helping clients recover maximum damages for a full range of serious injuries, which include: medical expenses, loss wages, pain and suffering and for future care. In addition, we also handle property damages on behalf of our clients. Allow us to negotiate with the insurance companies on your behalf. Your priority should be your healthy recovery. We will work to secure the maximum award for your injuries.